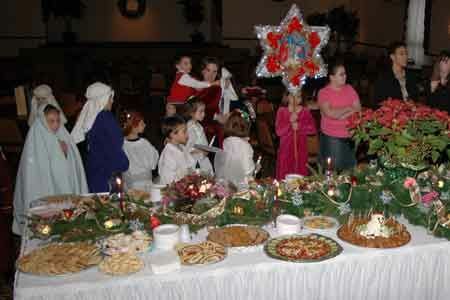 Events: Palm Sunday, Pascha, PRIMAVARA!, Pancake Breakfast, Culture Series, St. Nicholas, Christmas, Retreats, Special services. Each year Presentation offers a Charity Pancake Breakfast to the Copley-Fairlawn and Summit County community. Every cent that we raise, we give back to one of two charities: the Copley-Fairlawn Share-a-Christmas program and the Summit County Stand-Down for homeless veterans. There is no charge for the breakfast. Each guest donates from the heart, according to his or her own conscience. We have found that our guests are very generous in their support of these two important charities. 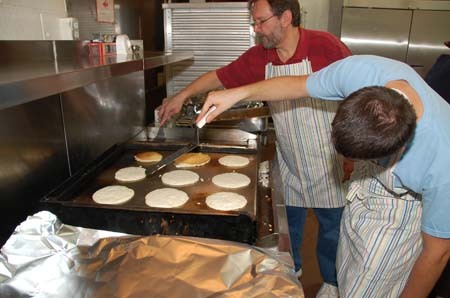 The Charity Pancake Breakfast is usually held on a Saturday morning in early September. When you receive our promotional flyers and notices, be sure to save the date and bring a friend! 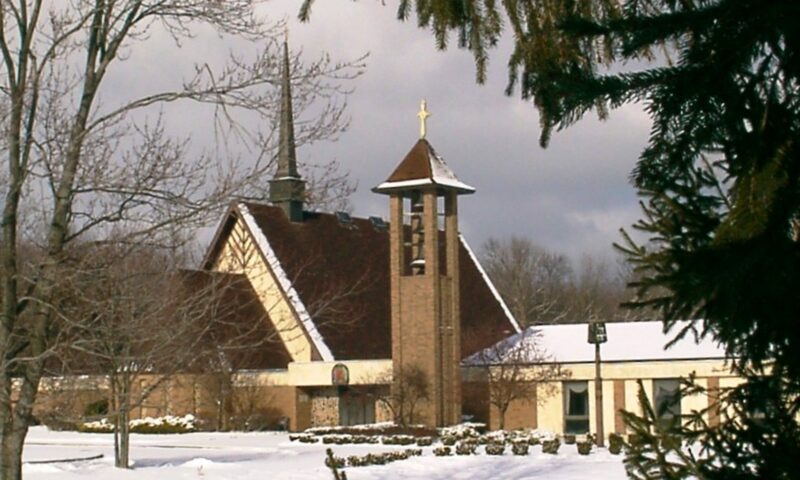 Presentation is blessed to collaborate with the Copley-Fairlawn Share a Christmas Program, providing gifts and food to needy families during the Christmas season. Our annual Community Charity Pancake Breakfast raises funds for the program along with the Summit County Stand Down for homeless veterans. Won”t you consider volunteering for this vital program in our local community? Click here to read more about the Share-a-Christmas Program. There are over 400 homeless veterans in Summit County, about ten percent of whom are women. Nationally, this number reaches into the hundreds of thousands, accounting for about 17% of the homeless population in the United States. 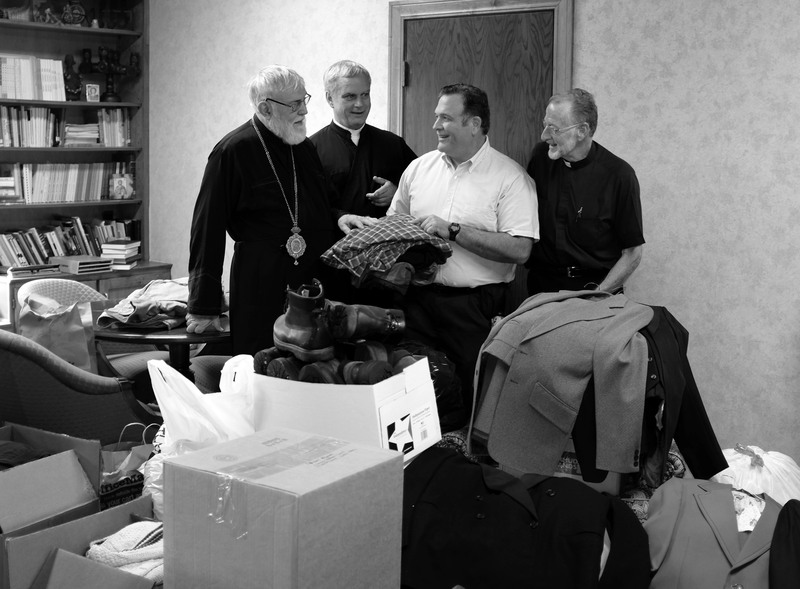 In 2010, Presentation designated homeless veterans as a focus of our parish outreach, and Father Ian asked Deacon Wayne to lead the effort. Since then Presentation has offered the annual Community Charity Pancake Breakfast, distributing 100% of all funds received to either the Summit County Stand-Down for homeless veterans, or the Copley-Fairlawn Share a Christmas Program. We are grateful to the citizens of Summit County who patronize the Charity Breakfast and, in so doing, help to provide much needed services to the homeless veterans of our area. Click here to read more about Summit County Stand-Down.